The state of our oceans and seas is the main focus in “Sea the Truth”. Leading scientists such as Daniel Pauly suggest that if we continue to catch and eat fish at the current rate, the oceans and seas will be empty within 40 years. The hunt for fish is an economic monster on the run: large bottom trawlers are scraping the bottoms of the seas empty, taking with them all living things with destructive force. The massive amount of bycatch is thrown back into the sea, maimed or dead. Under the guidance of Dutch MP Marianne Thieme, two young marine biologists Marianne van Mierlo and Barbara van Genne, are searching worldwide for scientific information about the condition of our biggest ecosystems, which cover more than two thirds of our planet. Underwater photographer Dos Winkel shows them the beauty of marine life and the enormous threats to which it is exposed. For the documentary the producers filmed in Newfoundland, on Bonaire, on the North Sea, the Azores and at various locations in the Netherlands. Authorities offer the solution of sustainable fisheries projects while leading scientists say that every fish that is taken now, is one too many. This documentary shows that, unfortunately, there is no such thing as “sustainable fishing”. 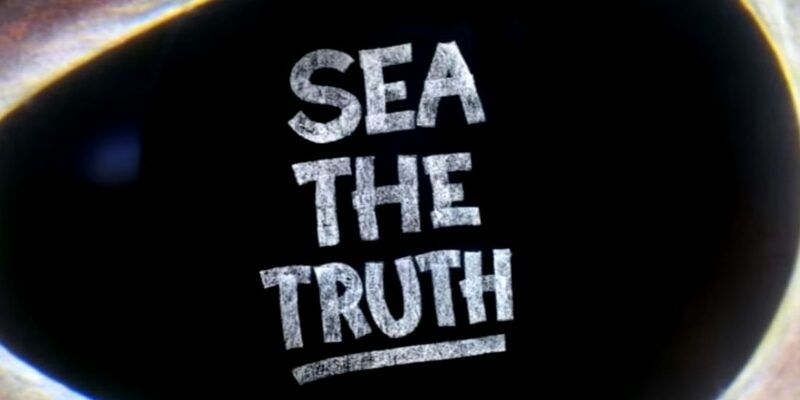 “Sea the Truth” premiered on May 19th in Amsterdam, The Netherlands.